Can I have a 4D scan if I'm pregnant with twins? Yes, you can! Many of the expectant mothers we meet are carrying more than one baby, and we frequently carry out scans (both 2D and 3D/4D) on unborn twins. After all, why should you be denied the breathtaking experience of glimpsing their world just because it's a little crowded in there? However, there are a couple of things to bear in mind as you're booking your appointment with us. We recommend that twin scans are carried out between 22 and 26 weeks gestation; any later, and the footage we capture may not be of a satisfactory quality. You see, 4D ultrasound scans tend to give better results if the babies still have a little room in which to move around, and since two babies take up more space than one, we like to get the scan done a little earlier in cases of multiple pregnancies. There's also the issue of payment. Twin scans take longer to perform than individual scans, and this will be reflected in the cost of your scan package. For all of our scans, there is a surcharge if you are carrying twins. This is because we effectively have to perform the scan twice, recording the position, measurements, and heartbeat of two babies instead of just one. earlyAssure™ (8-13weeks) - a scan tailored to the early stages of pregnancy. 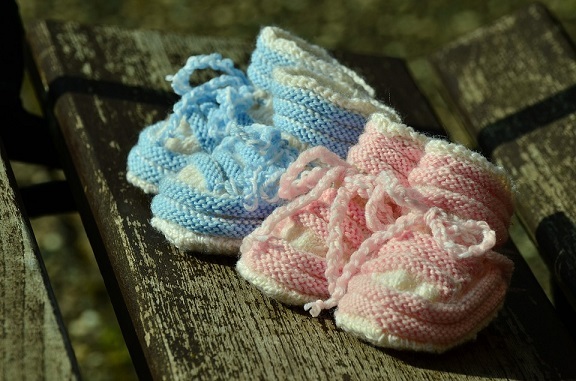 We can date the pregnancy, visualise a heartbeat and identify if you're having twins! (Multiple Pregnancy Surcharge £15). Growth&Reassure™ (14-32 weeks) - a scan that's designed to obtain growth measurements and check the wellbeing of your baby (or babies)! (Multiple Pregnancy Surcharge £15). Growth&Presentation™ (33-40 weeks) - a scan that's designed to obtain growth measurements and check the wellbeing of your baby (or babies) later on in your pregnancy! (Multiple Pregnancy Surcharge £15). secretGender™ (16-32 weeks) - a cost-effective baby scan, where the gender of your baby/babies will be discovered but not revealed! You will be able to reveal the gender in your own time, at a party or with your close family. (Multiple Pregnancy Surcharge £35). Classic4D&Growth™ (18-32 weeks) - watch your unborn baby/babies in stunning 4D! Take home 3D photographic images to cherish forever. (Multiple Pregnancy Surcharge £40). Deluxe4D&Growth™ (24-32 weeks) - watch your unborn baby/babies in stunning 4D! Take your high-quality 3D photos home to cherish forever, suitable later in your pregnancy! (Multiple Pregnancy Surcharge £45). We regret that we are not able to accommodate triplets (or quadruplets, quintuplets, etc.) in any of our scan packages. Ready to meet your twins? Book your First Encounters Ultrasound scan now! We are sorry to announce that the First Encounters Ultrasound clinic in Swindon is no longer open. If you were hoping to use our Swindon Clinic we invite you to take a look at our Bristol clinic which is likely to be the next nearest clinic to you. We also have a clinic in Cardiff if this is more appropriate for you. We look forward to seeing you there! If you have any questions or to book a scan at one of our clinics online, click here.